Performer schedules are coming out and guess what?! 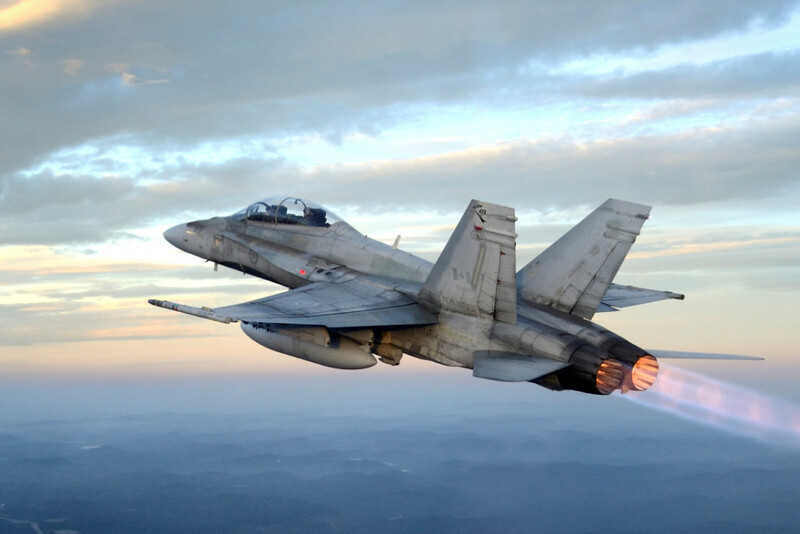 CF-18 Demo Team is coming!! 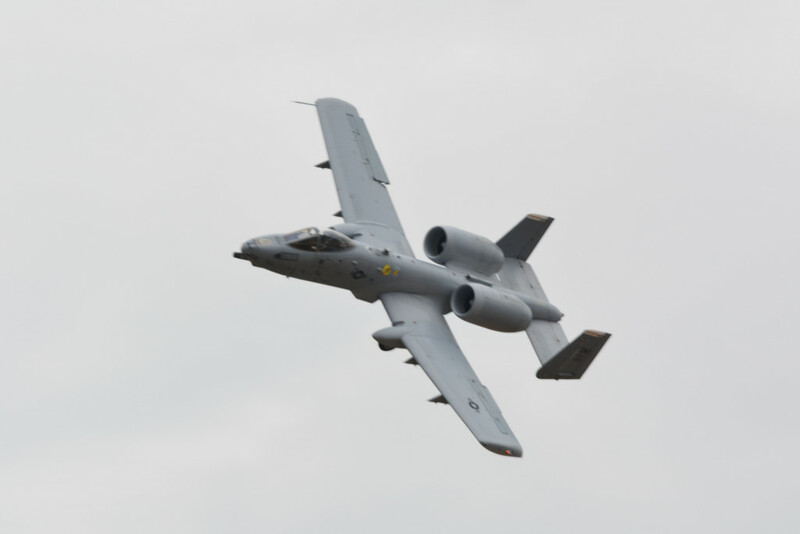 A-10C Demo Team from Arizona is coming!!! Are you kidding me??? This is going to be fantastic! Ramp up the food trucks and beer tents! This has the makings of an epic event. Well done! Shades of former glory. Don't stop now! I still have the early bird ticket sales online. 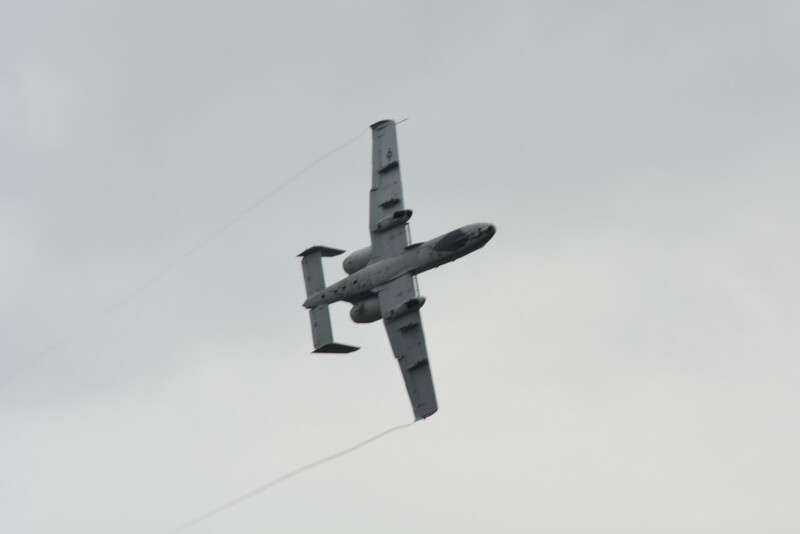 http://www.edmontonairshow.com. There was an e-mail, Facebook, Instagram, and press release sent a couple weeks ago to people who left their information for us last year, and uptake is good, but the sale ends January 7. 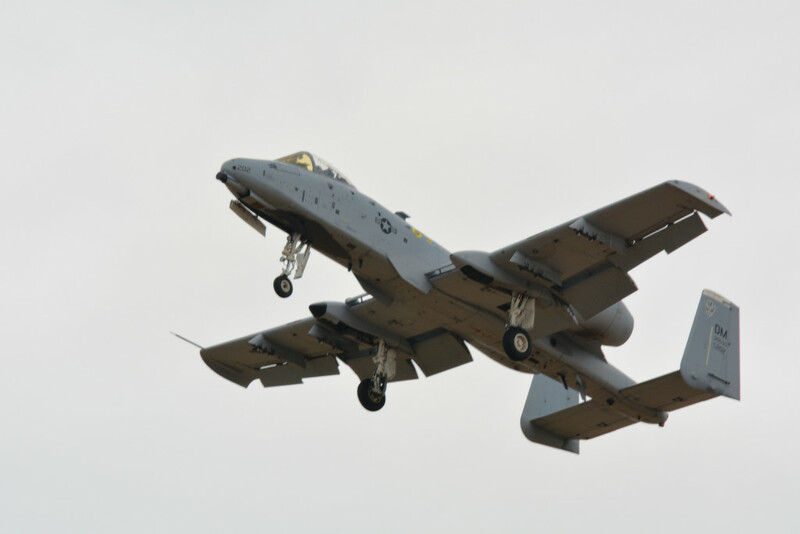 ...if you go to the Facebook Page of the airshow, you'll see this demo team is bringing a friend...a choice of 1 of 3. Either a P51, F4U, or F-86 is coming for a heritage flight. Feel free to comment your choice on the Facebook or Instagram page. We're working on an entirely new web presence, as well as major long term announcement for 2019+. I hope to have this launched by mid March. The Alaskans want to come back. The helicopters want to make up for last year. AS I've mentioned before, this is not just an airshow, and we are working on 2 key deliverables that took major steps forward today. The first is including the myriad of services, personnel, and capabilities of the Edmonton Garrison and showcasing them at the site. We are working through details of what can come, and making sure it fits the schedule. The key this year is to offer a presence that we can build on. I am very excited at the extremely positive response I received today from the base. The second is the Career/Job fair. We are tentatively calling it Showcase 2019. This is intended to be a career fair for youth looking to enter into the aerospace and defense world, and also be a recruiting/job fair for those skilled enough to become employed. We have positive interest from several companies and manufacturers, with some bringing assets to the static line. Our goal is 40 employers to be at the fair. Look for those announcements coming up soon. ...and I am off on a business trip next week to our proposed US partner...hopefully we can ink a great deal that will bring even more, and faster, planes to our event! ^ Suuuh-weet. Fantastic update with hints of great things yet to come. Not bad if I say so, too. Fantastic to hear. People of the region thank you for this hard work. 5 Hercs!? Some people are going to lose their minds! (a) this is important for the region as a business generator/cluster and not simply as entertainment as fabulous as the entertainment can/will be. (b) no one has worked harder or been more committed to making this a success than you have. you’ve earned a home run on this file and you deserve to be recognized for it in quarters that have ignored its potential for too long. good luck with the ticket sales and additional sponsorship it deserves getting over the finish line. This great to hear, hope continued success and looking forward to the show. Thanks for the kind words all...it is appreciated. The nice thing is that since we pulled off 2018 despite a ton of adversity, we've won the respect of many of our peers in the US. I am currently oversubscribed for potential visitors, but that is only because Villeneuve can hold only so much in its current configuration. Like I hinted at above, it was smoke that got in our way, politically and physically. I currently have a waiting list of both civilian performers and military statics...which is a nice thing to have considering we only started in 2015 after a 20+ year absence. Some of the statics on offer, like a KC-10, B52, and a C5, we just can't fit at CZVL. However, some of the rotary wing options are super cool...more on that later. Some of the statics on offer, like a KC-10, B52, and a C5, we just can't fit at CZVL. However, some of the rotary wing options are super cool...more on that later. The Edmonton business community better be stepping up with some corporate sponsorship! Great Big Birds want to come and play at little old Villeneuve. I'm impressed! I'd like to get some feedback on the food trucks. One of the biggest issues we've run into is the long food lines at some vendors. If you have some feedback on this, feel free to post it here or on the Edmonton Airshow Facebook page. More food trucks and more beer tents! But in all seriousness, you may want to contact other festivals and event organizers for their feedback. I would start with What The Truck, Taste of Edmonton, Heritage Festival, Folk Fest, Cariwest and The Fringe, then take it from there. Thanks. They have a slightly different model, and I am looking at servicing 50-60,000 people with no other options - we're an enclosed and remote site. Heritage, Fringe, Cariwest have options nearby to deal with volumes. WTT is all about the trucks. At the Airshow, we need a few vendors that have 30-40 second turns. I would like to send out a Thank You to the Government of Alberta - Ministry of Culture and Tourism for supporting the Edmonton Airshow, and our future announcements, with grant funding in 2019 via the Community Investment Program. A formal announcement will come, but I just received the letter this evening. Thank you Minister Miranda for your and your team's support. We will not disappoint. I stood in line 1.75 hours for a food truck at the Airshow. There have never been enough food trucks at the airshow and none of the operators are prepared for the onslaught. I saw a truck run out and close by lunch. Need a dedicated area where someone is churning out burgers and dogs, grab and go, 1 minute in and out and don't let up. Call Calgary's trucks. I'm sure they would come. I wonder if every M&M Meats would bring their barbeques and cook? 14 stores in the Edmonton area. And French's Ketchup and Mustard and Relish. Say, they do that for charities and not-for-profits. What about the Air Cadet League AB Provincial Committee? Talk about an "air force" of volunteers needed. What about making a call to all those lunch trucks that make their rounds through industrial parks all over the city? They probably could use the weekend work. They carry hot food, cold food, snacks and drinks. They turn customers in 20 or 30 seconds and a dozen of them would feed a lot of people. There are food trucks that travel from city to city for BBQ festivals and the like. Must be a way to invite them. Maybe the Red Cross or church groups could get involved as a fund raiser. I recall a Church group handing out free water at one of the car racing events years ago. They got thrown out when vendors complained that it was hurting their sales of 25 cent bottle water that they were fleecing hot customers with $3.50 prices. The Church group left and went outside the fence and just threw the bottles over the fence to grateful people. Last edited by Edmonton PRT; 09-03-2019 at 08:11 AM. Last edited by KC; 09-03-2019 at 08:05 AM. Alberta beef or pork sponsored BBQ with a giant BBQ (great smell) and simple... pulled pork or a burger or sausage, add a bun, customer condiments, done. Have food airlifted to the site as part of the show. MREs dropped from a C-130! In Alberta we air drop live hefers. ..
Last edited by Edmonton PRT; 09-03-2019 at 11:16 AM. This is the most common complaint, and I witnessed the lines myself. Now that I own the show outright, I am determined to fix this issue. The balance is between the admittedly interesting and unique offerings food trucks bring vs the volumes needed. You see these bbqs at Canadian Tire raising funds for Scouts or whatnot. Get a group of these and it would augment the service. congratulations on securing provincial recognition and support for what the airshow can bring to Edmonton, to the region and to the province. maybe they could even bring a couple xfinity series cars for the static line and/or for some runway/track demos? or how about one of those monster outdoor griddles uses for stampede pancake breakfasts etc. and offer an "all day breakfast" of pancakes/eggs/sausages/toast? Last edited by kcantor; 09-03-2019 at 02:27 PM. ^ I need that grill for my backyard pool parties. i think the difficulty with them - and with the food trucks - is they prep/cooking time and the limited customer count they can cycle per cycle. they can prep/cook/serve for maybe 20 easily enough with a short turnaround time but the next 20 need another ten minutes to cycle and that's where they fall down and the lines and wait times become excruciatingly long. maybe if you had 20 or more of them serving the same menu items and they were working and serving as a group you could overcome that but without that it would be a repeat of previous year's failings. i'm pretty sure it was here at least one year during the indy and was pretty popular/well attended/successful. it might be cool at one of your pool parties but you might be short 25,000 guests or so to make it worth their showing up. Maybe contact a couple of bbq stores or Trail Appliances and see if they want to use the event to promote their stores. If I had a bbq equipment store I would supply the equipment and staff and make a handsome profit on the food and drinks and promote my store to the hilt. Whatever you do, book the weather for the airshow now. Don't wait. Given the rural location, maybe a 4-H group or two would want to get involved to raise funds. Thanks. They would have to scale up pretty large to keep up with demand. I'm trying to find that balance between the multi-item food truck and the "taste of Edmonton" system of 1-2 items per vendor. One issue as Ken rightly pointed out is that food trucks have an expectation to produce quality over quantity...and that leads to longer prep times. Thanks! You know full well how hard this was...too urban to be rural. Too rural to be urban. Not ec-dev enough, but not touristy enough...we kind of fell through the cracks. We've seen enough disappointment to last a lifetime, so a congrats from you my friend means a lot. It took a rather lengthy application and further phone calls and explanations, but I think we made a breakthrough. Surviving the horror of last year and still putting on a well-received show gave us some credit. We finally have some seed capital to put on a show that rivals many in the continent. We still need to raise more capital, but with this vote of confidence and belief that we've planned to be here for the long term (the plan submitted was 20 years in horizon), it was nice to finally see a yes! I would suggest calling Fat Frank's and getting them to see if any of the lunch time cart guys want to put in some BV extra time. We've had a couple carts. As a airshow attendee and not to downplay any and all of your efforts to this point and in the future Richard, but the fact there is healthy discussion about adequate or less than food options etc. bodes well for this event. Well done. I forgot about Alberta Beef and Alberta Pork. Talk about Agriculture and Ec.Dev. Maybe they would sponsor a crop duster too? Wonder if the Potatoe Growers of Alberta would make chips/fries? I've seen that Johnsonville Big Taste Grill at the Eskimos Games. As luck would have it, there is an Eskimos Game on August 16. Big opportunity for Johnsonville to promote at two big events. I take all this as a healthy and positive discussion. Food trucks have been a huge sore point for me as Exec Director. Now that I have the whole show, I am determined to fix this issue. It is, by far, the #1 irritant received when I look at the historic feedback. I like the eclectic food options, but the long lines are not cool. I've been told off by a couple of vendors as I asked for something faster, but they seem to not get it that it is my brand that gets the complaints (and the negativity). If they want to come back this year, things have to change. Years ago, after regularly getting stalled in traffic because of thoughtless construction signage near the UofA, I sent a suggestion to the City that road work contractors should have to prominently display their corporate name. The City takes the heat and the private guys get the contract through their lowest cost bids. So some contractor and some City bean counter comes out ahead by keeping costs low while the City’s brand and the public get to be the big losers. Last edited by KC; 11-03-2019 at 09:27 AM. Given the remote-ish location, can you really rely much on food trucks? I just checked out your website, understanding you are just getting started. * Your map is not zoomable (a screen-snap I think), so it looks like it might as well be in Outer Nowhere. A proper Google Maps insert would let people know where it is in the world without going to Google Maps. * Do you use volunteers? Staff? I agree with you here. Eclectic is nice and I like options from the food truck fraternity but it can become too boujee. Rarely will they make a modification to their menu to suit an event. Pick one or two items that you specialize in and pound them out. Night airshow attraction? Biplane shoots laser show, fireworks and pyrotechnics show that amazes spectators. Way better than any F-35! Last edited by Edmonton PRT; 11-03-2019 at 01:00 PM. Website is under a large revamp. The launch is expected this week. Yes, we use volunteers for some specific jobs. Staff on key ones as insurance, regulations, and our permits demand experts in some fields. We've looked at a twilight and evening show, but twilight doesn't start until around 2130hrs, nautical around 2230hrs, and then dark is 2330hrs or later. For kids, it is late. For performers that have to fly Saturday, the duty day is too long and the rest period is too short. You made the news, boss! 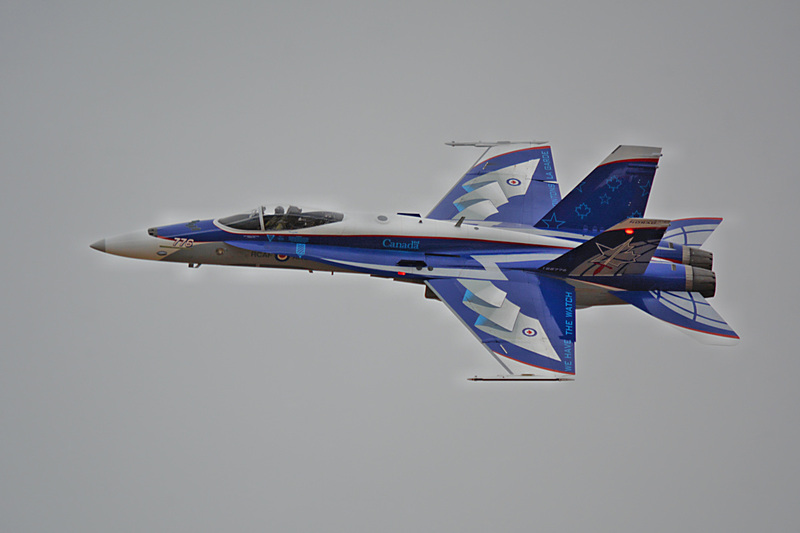 If you want to rebrand the Edmonton Airshow, how about the Alberta Capital Region Airshow? Thanks for the link Foolworm! The rebranding would happen given the larger scope and draw. The name Edmonton Airshow was originally given due to the desire not to have the Capital Region blah blah, and no one knew where Villeneuve was at the time. People know Edmonton. We avoided calling it the Edmonton International Airshow due to the confusion of location. Everyone would think YEG. This doesn't mean Edmonton is dropped from the name, it means the word "airshow" will probably be the first to drop...because this was always scoped to be much more. ...like the industry and career fair we're activating this year...phase 1 of another 3 year plan. PS...I still hold the http://www.albertainternationalairshow.com domain...but that one seems a bit tired. Lethbridge called itself that. So did Cold Lake at one time. Why not encourage people to bring a picnic? Usually outside food is not allowed at big events, but if food service is your biggest concern, maybe its something to think about? Even if only 25% of guests bring their own food, that would make a big difference. I can't tell what the hours are of the show. I would assume it's something like 9-5. If it's less than that can you shift it back so it doesn't overlap lunch? Many will eat beforehand then. TBH, we've allowed picnics since day 1 given the remote location. The upper tier tickets have food included, but for general admission we've always allowed families to bring their own sandwiches etc. Can we get an AC130H?? We are revamping the website, however I have asked our host to launch the ticket site tonight. I will let you know when that is up. Great! Thanks..I'd like to surprise my husband with tickets.. So, I take it he doesn't frequent the forum? PRT brought that one up back at post #56.